Visiting Angels® Georgetown offers respite care services to seniors and their family caregivers in Round Rock and throughout the surrounding areas. These services provide seniors with high-quality care and give family caregivers peace of mind while they rest and recharge. 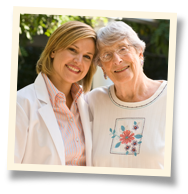 If our care could be the right fit for you and your loved one, give Visiting Angels Georgetown a call. The role of family caregiver can be both rewarding and overwhelming, especially for those who juggle more than one household or don’t have help. Without proper self-care and rest, this level of responsibility can quickly lead to caregiver stress. If you are feeling hopeless, anxious, or isolated, or have noticed significant changes in weight or sleep patterns, you may already be experiencing caregiver stress. Respite care services from Visiting Angels Georgetown are customized to the needs of you and your loved one in Round Rock. We provide reliable and compassionate care on your schedule, whether it’s on a temporary, part-time, or support care basis. For genuinely individualized care, our respite care services are tailored to the needs of each client in Round Rock. Flexible scheduling makes it easy to create a plan that fits your loved one's needs as well as your schedule. Temporary Care. If you need care for a loved one while you’re traveling for work, on vacation, or are unavailable due to an emergency situation, we offer temporary care. Part-Time Care. Part-time care offers care on a routine basis, typically a few hours each week. This gives family caregivers a block of “time off” every week to be used as they wish, whether it’s running errands, tending other family members needs, or just relaxing with a cup of tea and a good book. Support Care. If the daily care of a loved one has become too overwhelming for one person, support care can help. With support care, a caregiver from our team works in tandem with a family caregiver to lighten their load and provide support. At Visiting Angels Georgetown, we are proud to be the trusted choice for professional respite care services in Round Rock, Austin, Briarcliff, Cedar Park, Georgetown, Pflugerville, and the surrounding communities. Locally owned and operated, we're dedicated to helping seniors in our community by providing the support and assistance they need to age in place safely. To get started with respite care in Round Rock or one of the surrounding communities, call Visiting Angels Georgetown today. We’ll schedule a free consultation to determine your loved one’s needs, answer questions, and design a care plan for your loved one. Contact our office in Round Rock today to schedule a free respite care consultation.